In September 2016, Clowns Without Borders Germany went to Russia to perform 10 Shows in kindergardens, schools, a hotel, a toy-factory, public houses. In April 2014, Clowns Without Borders Canada went to Russia to support the victim of an hostage situation in a school in Beslan, and performed 2 shows for 1000 people. In 2013, Canada went to Russia and performed 10 shows for 2500 people in total. 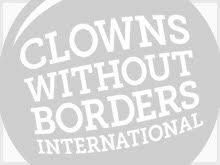 In 2013, Clowns Without Borders Canada went to Russia and performed 11 shows for 2500 people in total.